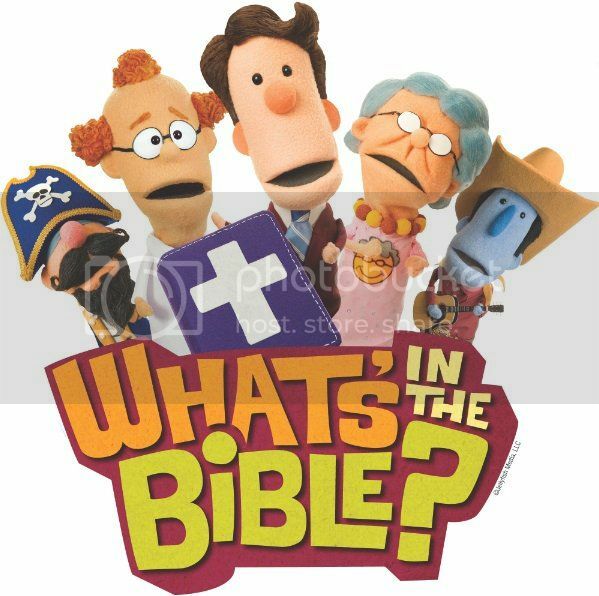 Grace Christian Homeschool: What's In The Bible? You may have noticed a new DVD series as you've been reading in blog land called Buck Denver Asks…What’s in the Bible?. This new DVD series is from VeggieTales® creator Phil Vischer and it is designed to walk kids and families through the entire Bible. DVDs 1-8 are available now. We had the opportunity to review the Volume 1 - In The Beginning Genesis. What is the best selling book? Who wrote this book and why do we think we can trust it? As you can see this isn't all singing and dancing. It teaches children strong foundational principles from the Bible. My family all loved the characters which include Sunday School Lady, Pastor Paul, Buck Denver, Clive, Ian, and so many more who will teach, sing, and dance their way all through the Bible. DVD 1 “In the Beginning” (Genesis) contains two 25-minute episodes. Part 1: “What is the Bible?” How is put together? Kids learn alongside Buck and friends that the Bible tells the story of God and what He’s done for us. Part 2: “Who wrote the Bible?” Next, Buck and friends learn how God inspired people to write the Bible. They also learn how the first part of Genesis sets the stage for the rest of the Bible – and all of history! Also included are some free resources to go with your DVD. I would highly recommend this DVD and look forward to watching the others. 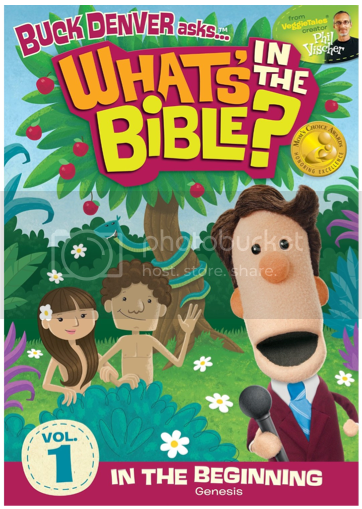 If you need a catchy, repetitive, and fun way to teach the Bible to your child, you will definitely want to check these out. 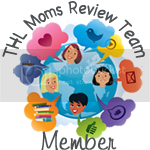 "I was selected for participation in this review and given the What's in the bible DVD as a member of The Homeschool Lounge Review Team. All thoughts and opinions are my own." Routine - here I come!